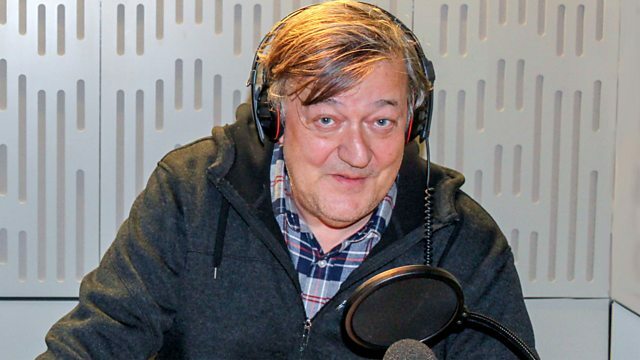 Stephen Fry makes the Radio 4 Appeal on behalf of Prostate Cancer Research Centre. - Freepost BBC Radio 4 Appeal. (That’s the whole address. Please do not write anything else on the front of the envelope). Mark the back of the envelope ‘Prostate Cancer Research Centre’. - Cheques should be made payable to ‘Prostate Cancer Research Centre’. We believe in a better future for men with prostate cancer. Prostate Cancer Research Centre (PCRC) is the only UK charity solely dedicated to developing treatments for men with life-threatening prostate cancer. Martin Dallison was just 52 when he was diagnosed with prostate cancer and told he had 18 months to live. Martin died on November 19th 2018 but he was adamant that the appeal should go ahead to raise more funding for research and to give other men the chance for a brighter outcome. Christine Galustian, one of the charity’s lead scientists, has identified a way to use a protein that stimulates the immune system to attack prostate cancer cells, leaving normal cells alive. Christine and her team have successfully reduced tumour growth by 60% in the lab and all money sent to this appeal will enable her work to be tested in men next year. Every year 45,000 men in the UK receive a diagnosis of prostate cancer, one in three is incurable. With more research we can change this by developing new and effective treatments. Together we can beat prostate cancer.